Children's Panels are created in the tradition of those crafted beginning in the 1920's. 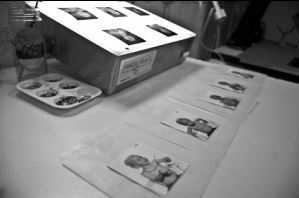 The images are captured to medium format black and white film that is hand processed proofed. 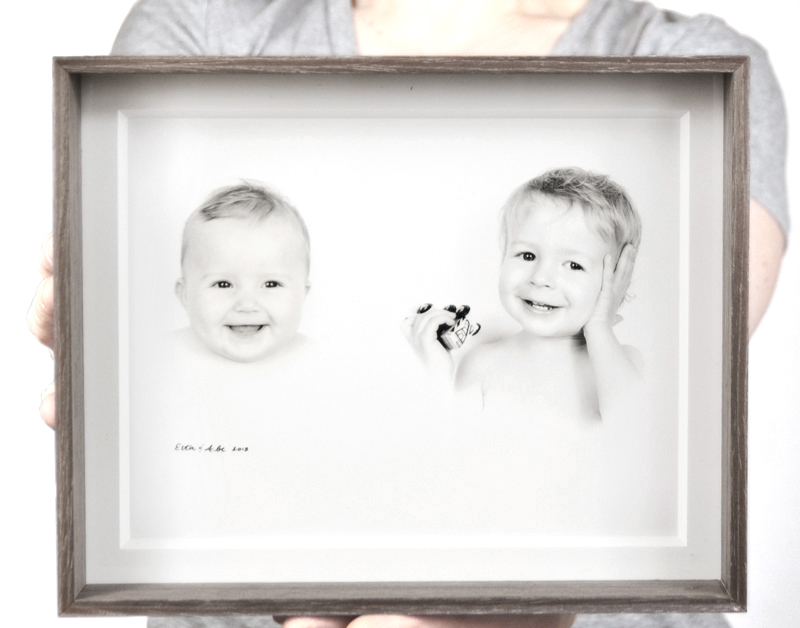 Favorite poses are selected and then printed by hand onto silver gelatin black and white photographic paper. Our pieces are then mounted to acid free board and matted behind double thick acid free museum matting. Panels sittings are available in a variety of custom combinations and are currently booking out of my Chicago studio. Contact me to book a time to capture a precious moment in time in your child's life. A two pose panel of brother and sister, matted and framed to size 8 x 10". The process of creating a panel happens in stages. 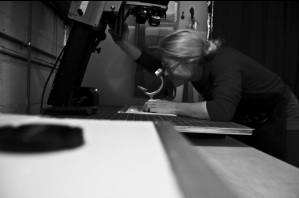 One of the stages is the printing of the panel. 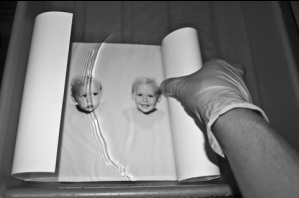 This technique dates back to the 1920's when you would see multiple exposures of children created as photographic panels. I have often heard clients refer to them as 'Granny Panels'. I love creating a fun atmosphere for children to act natural and have a good time, resulting in these unique panels!